Scout's day at Oakland A's is back again. 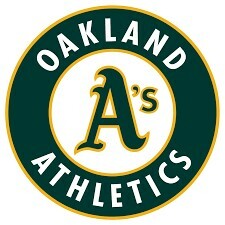 Some of us were witness to an A's victory over world champion Boston Red Sox last year. Sweetness of victory of our local team was doubled with a great no hitter from Sean Manaea. With hope for a similar magic, please join us for the Oakland A's vs the Houston Astros which features a pregame festival in the parking lot with a wide variety of activities, an on-field parade for uniformed Scouts and leaders, a commemorative patch for all participating Scouts, and a discounted game ticket. This event is open to Boy Scouts and Girl Scouts of all ages, as well as their families and friends. Activities will be posted closer to game day. We are looking at Field Reserved Seats (107/108). Seats are $32 and are closer to second base. Please sign up and pay by April 15th to secure your tickets. Submit your payment via check to Pack 1776 and drop it in the Pack drop box inside the Coyote Creek office or bring your check to next week's Pack Meeting. You may also pay online (fee).